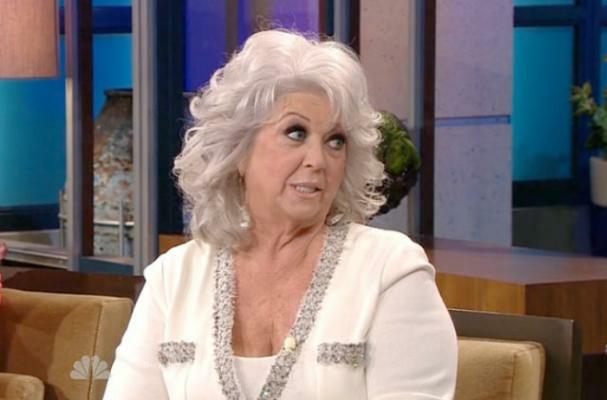 Paula Deen stopped by the Tonight Show with Jay Leno where she proclaimed that she alone invented the donut burger. "It came by accident, it happened by accident y'all... let me tell you about the donut cheeseburger, and I think it had an egg and some bacon on it, too. I can't remember," Deen said. "I was shooting my show and the food stylist had everything ready over here for me and I had a big platter of donuts. Well I went to put my burger together and I picked up that bun and it was just harder than my arteries and I felt up the donuts and it was soft. So I said, 'screw that hard bread, I'll use the donuts.'" And there you have it folks -- the story of how the infamous donut burger came to be. Deen calls it The Lady's Brunch Burger. However, her claims might not necessarily be true. Eater found that the donut burger might actually have been created in 2002.